Now this is an unusually coloured iris! The combination of blue, purple and yellow blooms is simply mesmerizing! One of the most easily grown Iris, Iris siberica originate from Northern Asia. These are very cold-hardy plants. Generally the species produces light blue flowers but cultivars will have flowers of other colors. The plants will tolerate wet soil but will also grow well under normal garden culture. 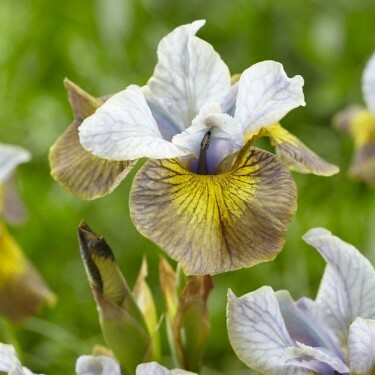 Iris siberica will do well under all types of weather conditions. Be sure to cut the plants back to a height of 6" - 15 cm in the fall. They make good cut flowers.